Above the portal we see FORT ERIE 1803, which is slightly misleading. 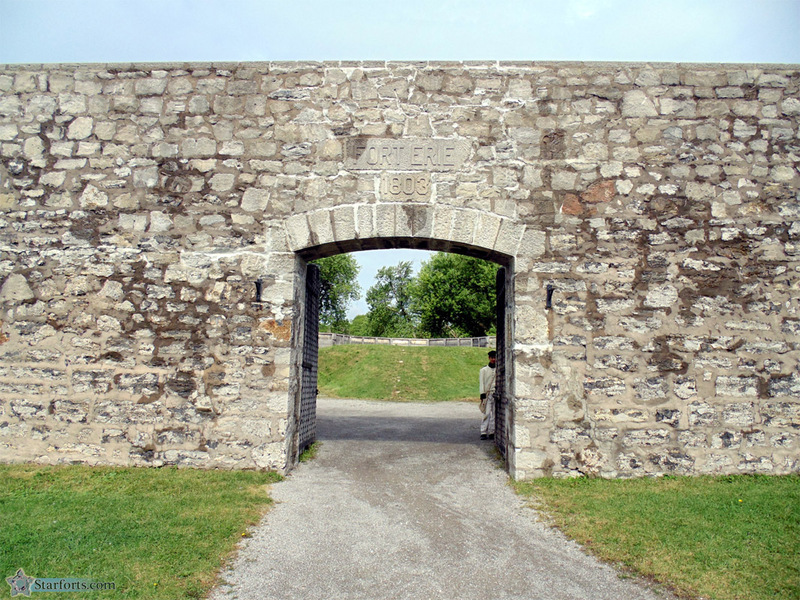 This final iteration of Fort Erie was designed in 1803, but construction didn't begin until 1805, and the fort wasn't complete when the War of 1812 rolled across the Niagara River. Whomever was in charge of carving that date likely figured that an earlier date is always more impressive than a strictly accurate date. And what is that we see peeping out of the gate? We'll look into that mystery in a wee bit.